great review. you already know how i feel about hofmann’s contribution… i agree that the book should have contained more interviews, less ham-fisted venting by the well-knowns. Glad to hear that Schwartz’s introduction is good. I attended the book launch event and was less than impressed with her comments. 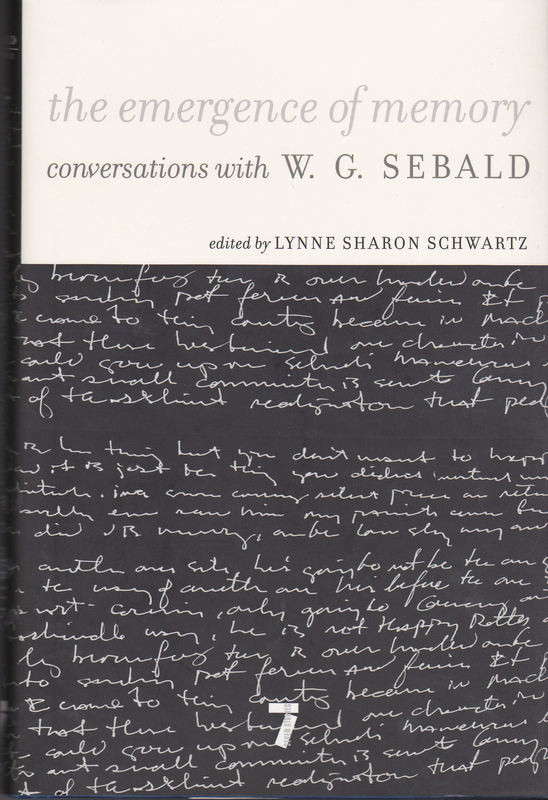 Speaking differs from writing of course but her take on Sebald seemed crude – ham fisted if you will. I enjoyed both Mark Anderson and Ross Posnock however and look forward to Anderson’s biography. I could not find an email address anywhere in the site so i am leaving this as a comment. please feel free to delete this. A friend came across your entry and told me you were looking for my Sebald interview in Pretext. If you send me your address, I’ll be happy tp post it to you.